You are the captain of a mighty pirate ship. The enemy fleet is guarding the treasure hidden in the Cutlass Reef. They know you are coming... Destroy the enemy and take the treasure! This is an excellent naval battle in which you will face rather overwhelming enemy forces. After every round you will be allowed to enhance some elements and improve your invincible ship. Slower pace of the game is compensated by good playability. Your goal: Destroy the enemy fleet guarding the treasure! You can see the carried gold, ship integrity, number of cannons and crew of the enemy ships in an info panel next to them. You are the commander of a pirate ship. You can move and rotate with the A, W9 D or the arrow keys. To fire the cannons, press the Space, F or Ctrl key. If you want to play Treasure of Cutlass Reef games online you have come to the right place! GamesLoon adds new Treasure of Cutlass Reef games every week. This is your game portal where you can find the biggest collection of free Treasure of Cutlass Reef games online. 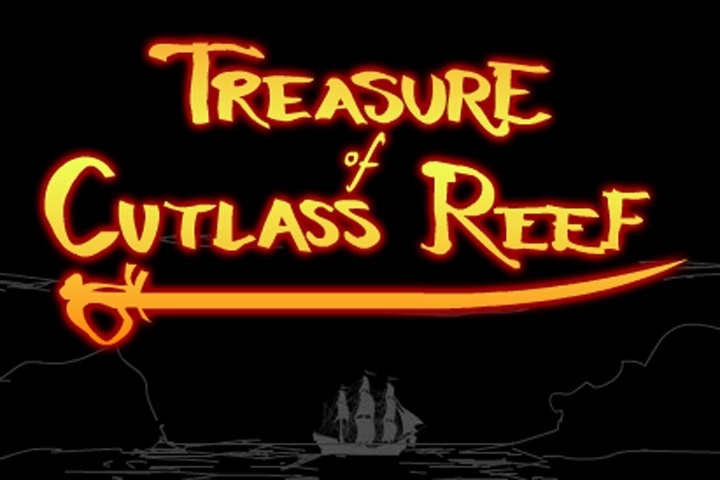 Do not forget to rate our Treasure of Cutlass Reef free online games while playing!